It is uncommon that a horror movie lives up to the hype that surrounds it and can provide something more than a few jump scares and a story you won’t remember the next morning. 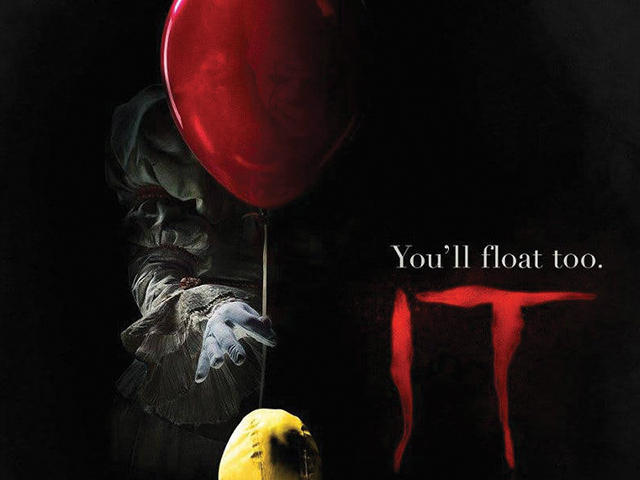 The latest adaptation of Stephen King’s iconic 1200-page novel, It, is a movie that you will have difficulty forgetting. It was a big task for director Andy Muschietti who has really only directed one other movie (2013s Mama) but the direction that he took the movie was truly impressive. Much of the story is loyal to King’s novel but where the film really shines is the calibre of acting, the eminent score and the crafting of something that is genuinely terrifying. It is set in the small town of Derry, Maine. Every 27 years, a creature emerges to abduct children before returning to the sewers. While the first part of the original movie was set in the 1950s, this adaptation is set in the late 1980s, meaning that part two will be set relatively close to our time. In the opening scenes, young Georgie Denbrough (Jackson Robert Scott) is playing with a paper boat that his brother, Bill (Jaeden Lieberher), had made for him. Due to heavy rain, the boat ends up down a storm drain and we are introduced to Pennywise the Dancing Clown (Bill Skarsgard) who severs Georgie’s arm before pulling him down into the sewer with him. This leaves older brother Bill with an unrelenting desire to find his brother’s body and to figure out what is happening in Derry. The movie centres on The Losers’ Club, a group of highschoolers who are social outcasts that have banded together due to being a bit different. The interactions and synergy between the kids is an element that really shines. You can see their fondness for each other throughout the movie and the only real let down is that there just isn’t enough screen time to properly delve into the intricacies of the characters. Bill’s best friend Richie (Finn Wolfhard of Stranger Things) nearly steals the show at some points and plays the loudmouth of the group incredibly well, coming across as hilarious yet insecure and needy at the same time. Skarsgard’s version of Pennywise is truly chilling and he truly brings the role to life. It preys upon the fears of others and in the scenes where he is trying to terrify the members of The Losers’ Club, he is genuinely frightening. It’s hard to not ruin all the best parts but It is certainly a movie that you should go and see. At points you’ll laugh until you cry and then cry because Pennywise is beyond creepy. You might want to bring someone to hide behind.